The talent show returns for its 12th series with Radio One DJ Nick Grimshaw and singer-songwriter Rita Ora joining Simon Cowell and Cheryl Fernandez-Versini on the judging panel. New presenting duo Caroline Flack and Olly Murs host as the search for a potential music star with an amazing voice and that extra special something begins. 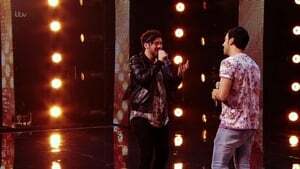 Tonight's edition will see the start of the auditions, as hopefuls perform in front of the judges and an arena audience of thousands in the hope of securing a place at Boot Camp. More hopefuls sing in front of the judges and an arena audience of thousands to prove their worth and possibly secure a place at Boot Camp. 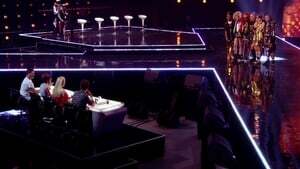 Olly Murs and Caroline Flack host proceedings as the audition stages continue, with more hopeful contenders seek to win over the panel and secure a place at the Boot Camp. Doing so will first mean they must face the collective criticism of Simon Cowell, Cheryl Fernandez-Versini, Nick Grimshaw and Rita Ora, along with the gathered arena audience. Olly Murs and Caroline Flack host proceedings as the audition stages continue, as more hopeful contenders seek to win over the panel and secure a place at Boot Camp. 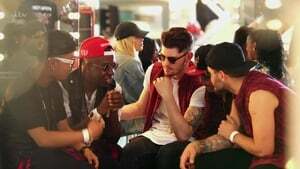 Doing so means they must face the collective criticism of Simon Cowell, Cheryl Fernandez-Versini, Nick Grimshaw and Rita Ora, along with the arena audience. Tonight, in the last of the arena auditions, performers will sing one last time in front of the judges and an audience of thousands in the hope of securing a place at Boot Camp. Tonight sees the launch of this year's supersized Boot Camp stage, kicking off in a grand country house. Tonight sees the the last day of this year's supersized Boot Camp stage, kicking off in a grand country house. Rita Ora picks the TOP 6 girls in the 1st show of the six chair challenge..
Nick Grimshaw picks the TOP 6 boys in the 2nd show of the six chair challenge..and Cheryl Fernandez-Versini finishes off the show going through half of the groups before next Sundays 3rd and final six chair challenge. The beginning of the judges' houses stage, which sees the remaining 24 acts jet off to glamorous destinations around the world to sing for a place in the live shows. 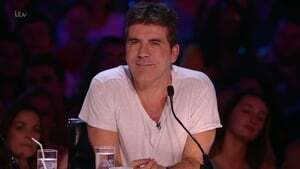 As usual the judges are assisted by industry experts - Simon by One Direction heart-throb Louis Tomlinson, Cheryl by chart star Jess Glynne, Rita by US sensation Meghan Trainor and Nick by leading producer Mark Ronson. However, unlike in previous years, the hopefuls don't get the news straight away. Instead they have had to wait a few weeks until this weekend, when back in the studio the judges will finally choose their finalists live. Hosted by Caroline Flack and Olly Murs. Caroline and Olly present the first of this year's live shows. 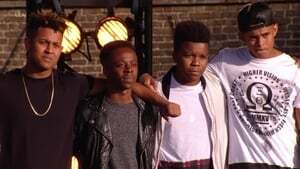 The 12 remaining acts compete for the chance to make it through to the live final later this year, hoping to impress the judges enough to stay on the show. 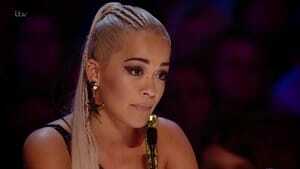 Simon has the Overs, Cheryl the Groups, Nick the Boys, and Rita the Girls. 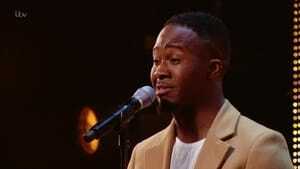 However, the standard is high, which is sure to cause drama and disagreements among the judges, and tomorrow's show will see the first act eliminated after a sing-off. Caroline and Olly present the results of last night's viewers' vote. 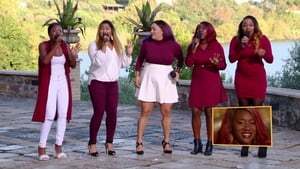 The lowest scoring acts are challenged to compete in a sing-off to win the approval of judges Nick, Rita, Cheryl, and Simon - with one of them being eliminated from the contest at the end of tonight's show.